← The Silver Spoon Is Open! We are incredibly grateful to Southwest Airlines and Project for Public Spaces for the generous 2018 Heart of the Community grant award of up to $125,000! 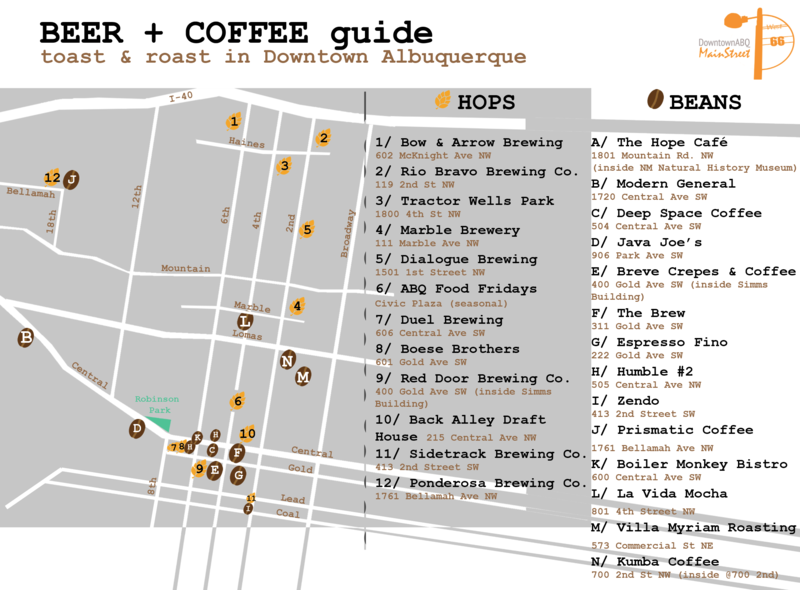 We look forward to the wonderful projects we will be able to do for Albuquerque Civic Plaza to benefit our community! Heart of the Community is a signature outreach program of Southwest Airlines with a mission to build connections that bring people together and strengthen communities for a more resilient future. Launched in 2014 with lead partner, Project for Public Spaces, the Heart of the Community grants provide financial and technical assistance to local community partners who seek to bring new life to their public spaces. Have you heard of Project for Public Spaces? PPS is a nonprofit planning, design, and educational organization dedicated to helping people create and sustain public spaces that build stronger communities. In 2013, a partnership between PPS and Southwest Airlines was born and has since awarded $3.6 million dollars in grants and placemaking technical assistance to 20 organizations in the United States and Mexico City. We are incredibly grateful to have been one out of five organizations that received the Heart of the Community grant in June of 2018! Thanks to this generous grant and the community’s feedback we will be able to implement a new planning phase for Civic Plaza! Your experience is incredibly valuable to us! Email us (link) to let us know your vision of how Civic Plaza can improve your health, happiness, and well being. In 2015, we were awarded a $200,000 grant from Southwest Airlines, in partnership with the Project for Public Spaces, for placemaking initiatives on Civic Plaza! This Heart of the Community grant has transformed the area in front of the Convention Center into a gathering space for the community. We’ve worked with the community, the City of Albuquerque, and partnered with the managers of the Convention Center, SMG, to reimagine and activate this important piece of our city. The results have been transformative for Civic Plaza, and more is coming. 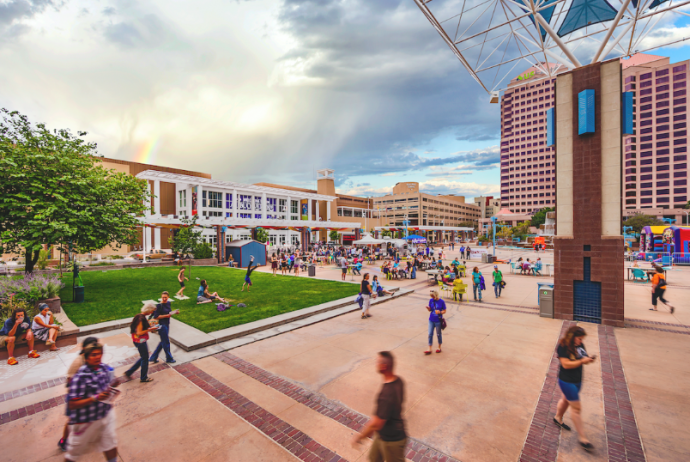 The grant has been met with huge success and has launched a series of events on the plaza, including ABQ Food Fridays, Movies on the Plaza, the Silver Spoon (a refitted Airstream that now serves as a mobile kitchen), festivals, and much more, as well as provided physical amenities to the space, such as tables, chairs, umbrellas, and plants. We’ve seen a huge turnaround in the perception of the plaza. Now, our community views this public space as a great amenity to Downtown, and a fun, exciting, and safe place to be. You can learn more about the project right here.